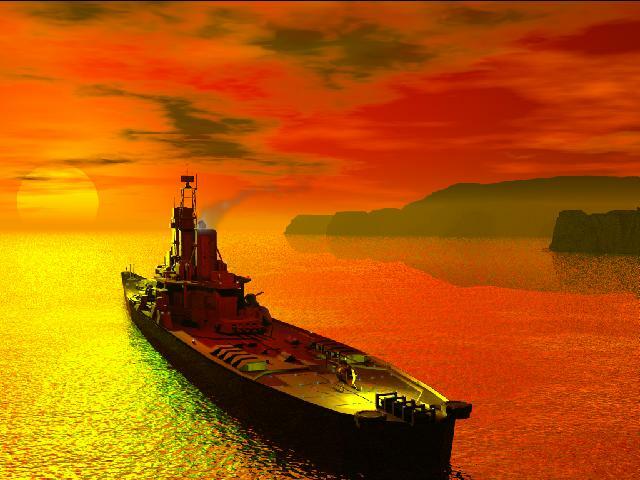 The battleship Inevitably Destructive In All Circumstances just off the Yardistani coast. Shireroth's farmers know Ifnin as the time to plant crops, and indeed they pray to the fickle Goddess of Chance for whom it was named that the harvest will be good this year. But Ifni's randomness is perhaps manifested no time better than in the very middle of the month, when April Fools' Day and Yardistan's birthday are celebrated concurrently. This would be an excellent time to stay indoors.